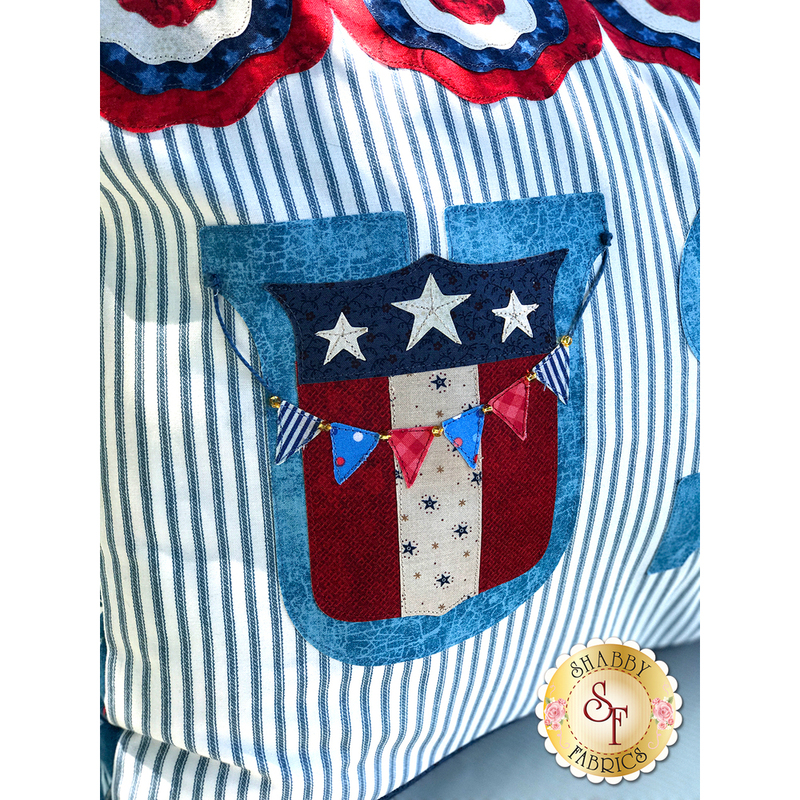 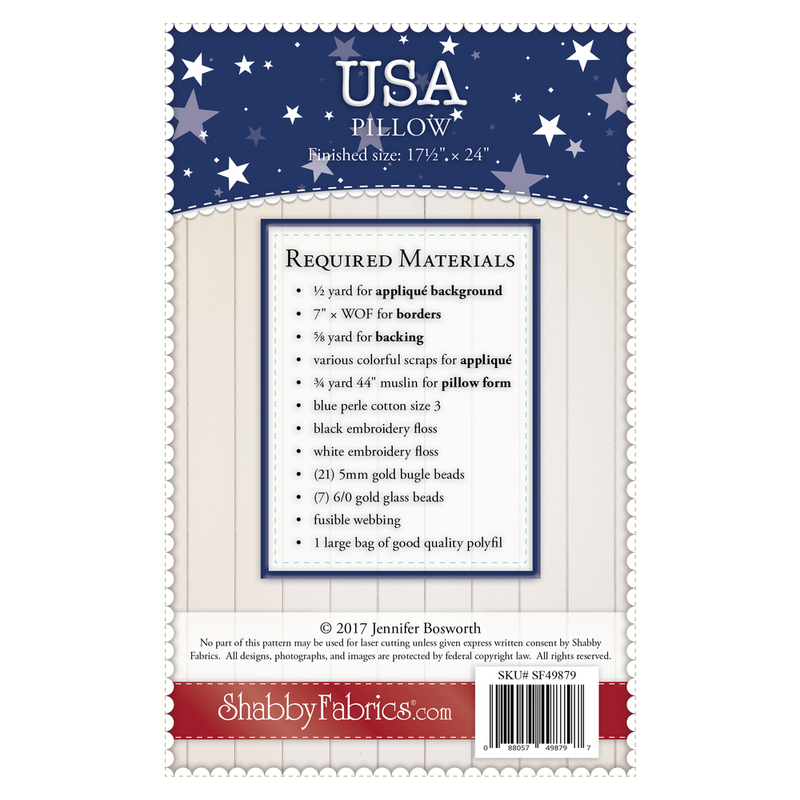 Have your home ready for the Fourth of July with the USA Pillow! 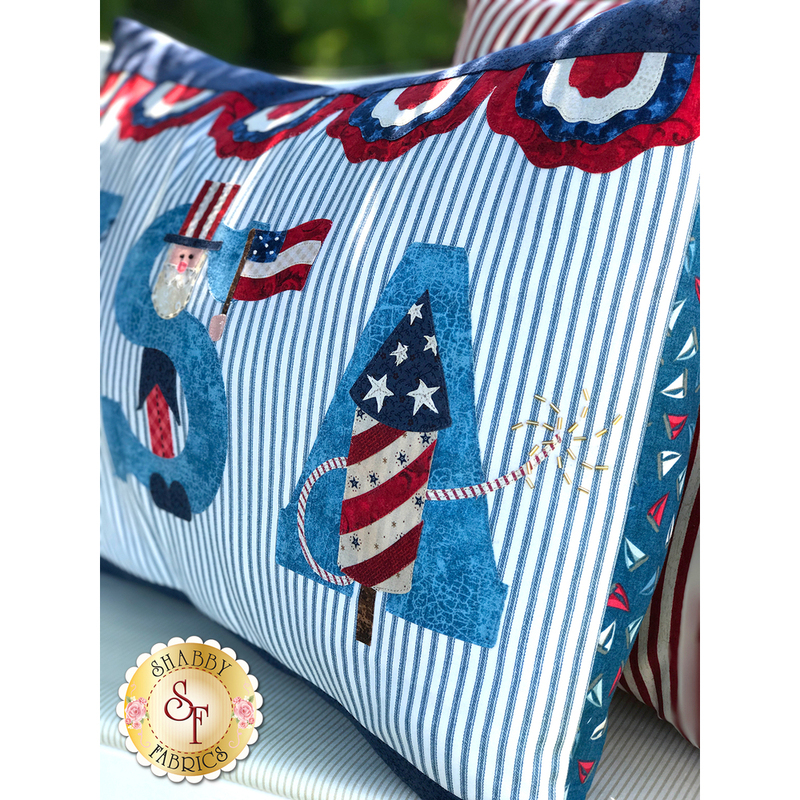 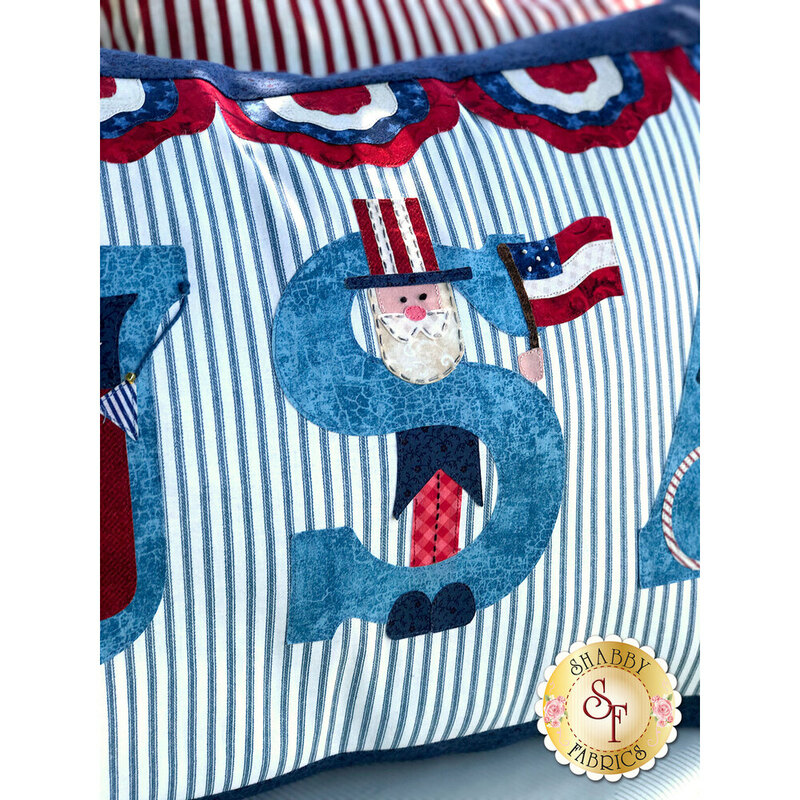 This Shabby Exclusive showcases beautiful embroidery and fun embellishments, adding the perfect patriotic touch to any home! 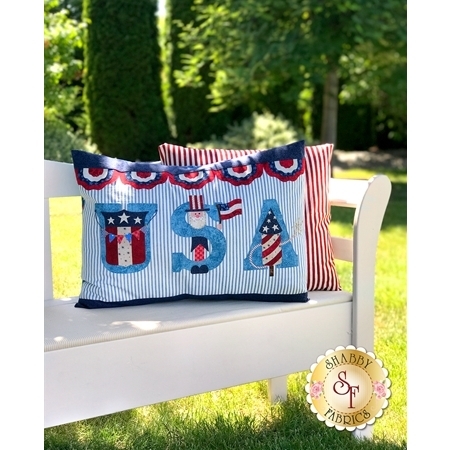 Finished size is approximately 24" x 14".